When somebody dies, an unpleasant odor can be left behind that can be difficult to remove. This is especially true when the person was not found for several days and the body began to decompose. The lingering odor and airborne bacteria that a decomposing body produces can ruin household items in just a few days and can negatively impact the safety of future occupants if not properly cleaned. A new paint job and fresh carpeting can help out with combating the smell left behind from a dead body. But these measures do not protect against exposure to the dangerous bacteria that is present. Any amount of human waste can be dangerous. In fact, federal regulations deem all bodily fluids to be biohazards, and any blood, tissue, or bodily fluids at a scene are considered a potential source of infection. This includes odors that are left behind even after the body has been removed from the scene. At Aftermath, we believe that dealing with the emotional loss of a loved one is hard enough and that no family deserves to be plagued by disturbing images of decomposition, death odor, and potential health hazards. 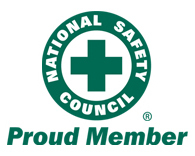 As the nation’s leading biohazard company, we handle traumatic situations on a daily basis. Above all, our mission is to relieve each customer’s burden by providing compassionate, customer-focused, conscientious care in the delivery of our services. If you have lost a loved one, it is important to know that you are not alone. Aftermath is available 24/7 to assist you. Contact us today for more information.